If you are thinking why you should be beware of going and visiting Norway ‘The Land of Midnight Sun’… then begin your journey right here to whiff away from the cloud of doubts. Read along to know the reasons why you want to reconsider while reaching out for this destination. If you can keep up with me, you will also get to know how to plan your trip carefully to this bewitching place on this big blue marble. Wondering what it is? Svolvaer is a port town of Norway which has its own serene value with a mountain backdrop with the sudden miscellany of modern town touch. But if you end up in this place somehow, you might get a drink in an ICE CLUB in an ICE GLASS!! If you have the desperation and a big will to travel all the way to ‘almost’ the end of our planet, then be my guest. It is said that it is highly mesmerizing and you might feel like a tiny speck in this universe. You don’t believe me? I would suggest you visit at your own risk because you might end up remembering it FOREVER! According to what I think one should really wonder about visiting this place, especially in winters. You might feel like you have ended up in a gingerbread fantasy; where houses look brown like gingerbread and the snow on the roof looks like a vanilla icing. Here’s the risk of going there, if you are going with your family everybody might fall in love with it. This place is hyped about the edged cliff. It is said that you feel like you are on top of everything around you. It is a natural ledge where sometimes people can sit for hours together. The calm and serene environment might well – up your eyes. There is a slight risk of embedding the peace in you. Do you still want to try it? Sometimes people think it is okay to travel to Norway in autumn. Norway is said to have a very poetic environment. All that was frozen converts to water and forms a mirror like surface. You might think what the risk in that is? Let me tell you, the view of Norway becomes so COLORFUL and VIBRANT that people, in general, are AWESTRUCK! • Firstly, apply for a Schengen Visa. • The valid passport was valid for 3 months after the planned visit. • An original medical insurance certificate is required. These documents are to be submitted to your local visa office authority and get your visa formalities done. Once you have successfully grabbed on to your visa, you are ready to risk yourself with the sereneness and picturesque view of this country. 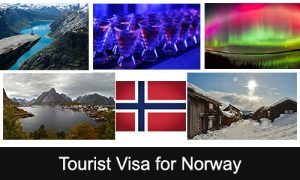 I am a Canada citizen want to visit Norway for two weeks. Do I need a visa? Amritha are you interested in applying for Schengen visa? 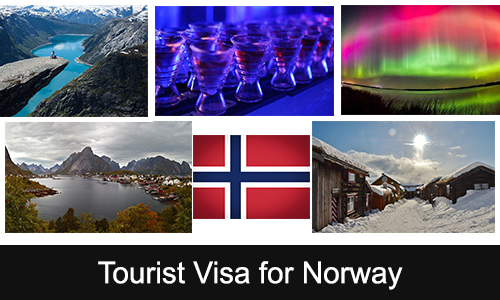 what requirements should I have while visiting the Norway?